The Girl Scouts of the USA have been empowering young women for over 100 years, through team-building, skill-development, and community service projects. 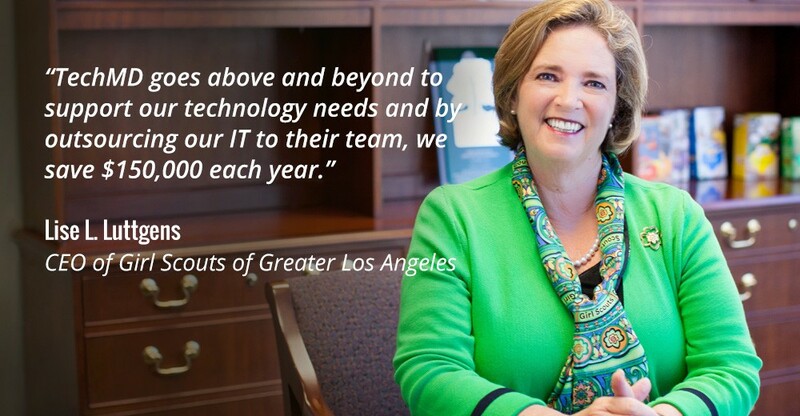 The Greater Los Angeles council formed after six LA-area councils merged and appointed Lise L. Luttgens as their first CEO. She spends her time living and breathing the Girl Scout message and helps serve over 40,000 Girl Scouts in the greater Los Angeles community. She has been nominated for CEO of the Year and has a master’s degree in public health from Yale University’s School of Medicine.